Wall Stickers is a wall of fashion, easy to get your own wall modification, simple and fast and arbitrary strong, decorative effect is very intuitive. 1 x Wall Sticker. 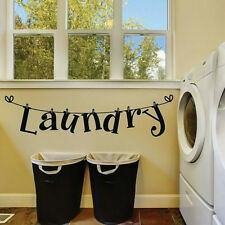 Cover the transfer film on the wall decal. -Your High Quality Decal. -Test Decal. Decals should be pasted on a hard, clean, smooth and dry surface. They are removable but not resuable. When apply decal to freshly painted surface, ensure the paint is fully cured. ALWAYS KISS ME GOODNIGHT Home Wall Art Vinyl Decal Words Lettering Bedroom 24"
After the backing is off, carefully place it where you want it, then use a squeegee (a credit card will work for this) and run over the sticker with added pressure for it to stick to your surface. Start in the middle of the decal and work out in all angles. 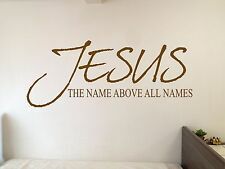 JESUS Name Above All Names Wall Decal Sticker Vinyl Wall Art Bible 6 ft wide! JESUS Wall Quote Decal Sticker. 6 Feet Wide! Decal is made of durable high quality vinyl that is perfect for indoor or outdoor use. Easy to apply, just remove backing and apply to your surface, then peel off the transfer tape. You need to make sure the surface is clean and dry before you stick it. Any greasy dirt or water will influence the perfection of the sticker. Can be placed on the wall, fridge, tile and any other hard surface places. The decal is suitable for any smooth surface, including glass, body panels, toolboxes, walls and more! · Material of Decal You Never Know What You Have Until You Clean Your Room. - Peel off the backing paper. It can be sized up or down if you need done so.PRICE VARYS WITH SIZE! Decals should be pasted on a hard, clean, smooth and dry surface. They are removable but not resuable. When apply decal to freshly painted surface, ensure the paint is fully cured. Peel off the transfer film. Wayne Gretzky quote. A good hockey player plays where the puck is. A great hockey player plays where the puck is going to be. pdf file that is a lot clearer. 1 Wall Sticker. It can be applied to any smooth,clean and dry surface. and local regulatory agencies. The sale of this item may be subject to regulation by the U.S. Food and Drug Administration and state. These decals are cut by professional cutter,applied to any smooth clean surface like car, window, cell phone and wall. 1x Wall Sticker(not include others). Due to the light and screen difference, the item's color may be slightly different from the pictures. Anyway we will try our best to avoid this kind of thing. It can be easily applied in minutes and removed. Item Category: Wall Stickers. 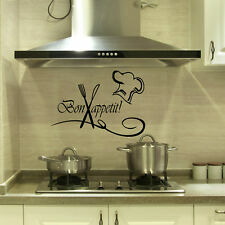 1 Set of Vinyl Wall Sticker Quote Decoration. Item Feature: Removable. Vinyl Letter Size: 58 cm. Vinyl Letter Height: 12 cm. Quantity: 1 piece Wall Sticker. Classification: For Wall. Scenarios: Wall. final Size picture on the wall(cm cm): about 57 25.4cm(it can be larger and smaller by diy). ...AND THEY LIVED HAPPILY EVER AFTER Wall Art Vinyl Decal Lettering Words 24"
PLEASE EXCUSE THE MESS MAKING MEMORIES Wall Art Vinyl Decal Lettering Words 24"
Vinyl Wall Decal. After the backing is off, carefully place it where you want it, then use a squeegee (a credit card will work for this) and run over the sticker with added pressure for it to stick to your surface. Material: Vinyl. Room: Living room, Dining room,Bedroom. We use 5 year export high quality vinyl on wall decals and these decals are cut by professional cutter,applied to any smooth clean surface like car, window, cell phone and wall. Q: Can we make the sticker a different size?. SOAK ALL YOUR TROUBLES AWAY Words Bath Vinyl Decal Bathroom Wall Lettering 16"
"Soak all your troubles away.". Vinyl Wall Decal. After the backing is off, carefully place it where you want it, then use a squeegee (a credit card will work for this) and run over the sticker with added pressure for it to stick to your surface. Use this at home,office,and anywhere else! Add a festive life and personality to any space! Instantly liven and decorate any room Simple,clean,and trendy! Non-toxic,environmental protection Brand new, Fashion Design and High Quality. Environmentally friendly ;Water resistant and mildew proof Can be applied to any smooth and clean surfaces such as walls, doors, windows, closet, etc High quality self-adhesive matte vinyl stickers; no tools required. Easy to apply, remove, reposition, and reuse without leaving damage or residue. Very quick and easy to use No paint, no tool, no sticky paste necessary Can be removed, water resistant, double sided visual designMaterial: PVCComposing size:14 x 57cmFinished size:15 x 66cmNote: This wall sticker can be re-used on smooth wall and surfaceColor: black Note: This wall sticker can be re-used on smooth wall and surface. How to use: step1: take the transfer film out. put transfer film on the top of graphic sticker step2: rub the top of transfer film wit. Think Positively. After the backing is off, carefully place it where you want it, then use a squeegee (a credit card will work for this) and run over the sticker with added pressure for it to stick to your surface.